New single from Nikhil P. Yerawadekar & Low Mentality. 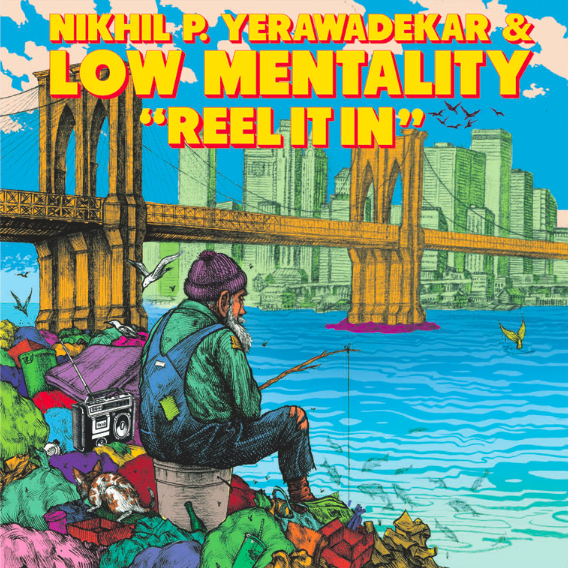 "Reel It In / Vultures” is the first vinyl release from Brooklyn songwriter and muliti-instrumentalist Nikhil P. Yerawadekar and his group Low Mentality. The two songs reflect the diversity of sounds that have formed Nikhil's perspective over the years as a member of groups such as Antibalas, The Sway Machinery, Bright Moments, Akoya Afrobeat and a recent collaboration with Ethiopian keyboard legend Hailu Mergia. The A-side "Reel It In" is a breezy and catchy pop song that seamlessly blends Ghanaian, Malian and Jamaican flavors, while the B-side "Vultures" is a deep cut that will remind some listeners of The Doors, and others of Sly & Robbie. These captivating melodies and propulsive beats are designed to be just as rewarding over headphones as they will be on the dancefloor.